A versatile printer at a very competitive price, but our photo test prints were unnaturally pale. The Pixma iP5200 costs just £50 and you get a lot for your money. 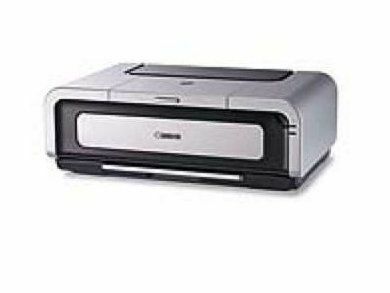 While it doesn't have memory card slots or an LCD display, it does have both a feed tray and a cartridge, so you can load plain and photo paper simultaneously, and it can print duplex - both sides of the paper in a single job. For plain-paper printing, you lift a cover at the back of the printer and load up to 150 sheets into the rear feed tray. For photo prints, or A4 letterheads, pull out and load the paper cassette, which can also take up to 150 sheets. Both trays feed to a telescopic output tray, which slides out from the front. There are very few physical controls on the PIXMA iP5200. When the front tray is open, there are two buttons: one stops a print job part way through and the other switches between paper trays. There's a PictBridge socket located below the buttons, so you can connect a digital camera, and a USB 2.0 socket at the rear for connecting to your Mac. The software driver provides most of the facilities you'd expect, though some are not that easy to fathom. Turning on duplex print, for example, requires you to go to the Duplex Printing & Margin dialog. But when you go back to Layout, the facility is still greyed out - this is pretty confusing. Our test photo print came out unnaturally pale, so we printed it again and got another pale print. You can adjust for this in Photoshop or within the print driver, but the default settings should give better results. Print speeds were reasonable and a 15x10cm print came through in just 45 seconds. Text prints were still not quick, though, and print costs are higher than some others at 2.4p for a 5% text page and 6.2p for a 20% colour one.